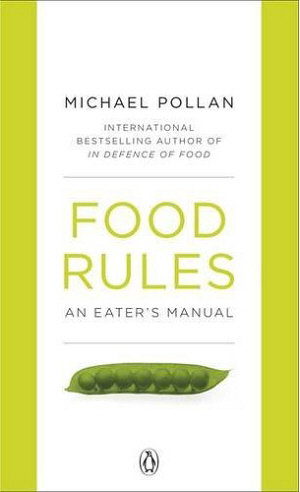 In Defence of Food was what got me really stuck on Michael Pollan. It really made me think about how I was eating and where I was getting my food from.Food Rules is the mini version, a perfect stick-it-in-your-back-pocket-and-read-it-on-the-bus book. I would love to have the rules on a poster to stick up in the kitchen as a regular reminder!